Characteristics: Shaped like an elongated triangle. Quantity: 2 solid pieces & 2 open work pieces per pkg. ***These 2 components were not stamped at the same time. 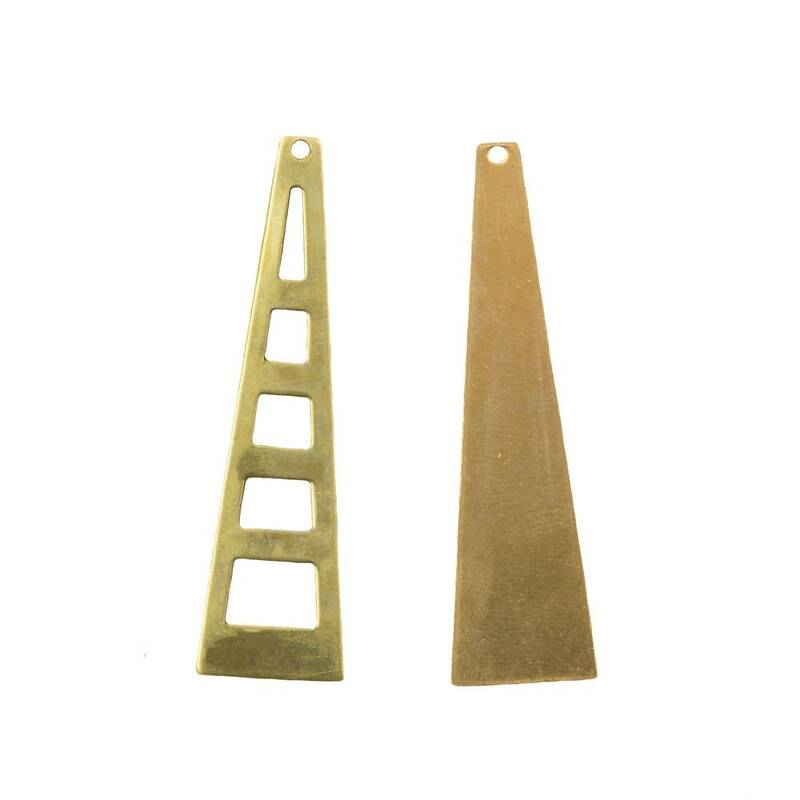 This means the solid pieces may be a different color brass than the cut out pieces. The 2nd picture shows the different color brass. Additional Information: These can be stacked as is, or color could be inserted between the layers. They can also be used individually. Search mtl127 for other sizes and shapes. 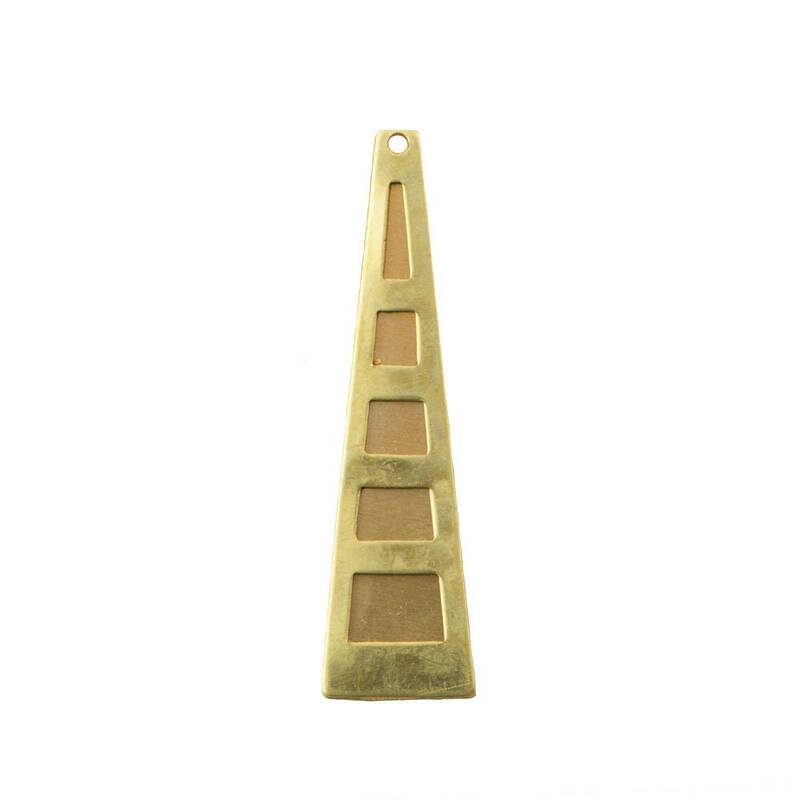 This is a raw brass item. Color can vary from lot to lot. Also, all raw brass will acquire patina over time. Lovely brass findings. Many thanks. Great pieces! Thanks so much!